The SmART Communities program demonstrates how the arts transform downtowns and fuel sustainable economic development. The arts in North Carolina have long been a cornerstone of downtown and neighborhood revitalization. In 2012 the N.C. Arts Council launched SmART Communities to incentivize more arts driven economic development projects in cities and towns across the state. Four SmART communities – Burnsville, Durham, Wilson, and Kinston — have illuminated the central role the arts play today in downtown revitalization and sustainable economic development. Four additional communities - Greenville, Lumberton, Marshall and Morganton were added in 2018. We work together with local government, local arts groups, and the economic development sector in each of these SmART cities and towns to help them envision plans large enough in scope and scale to transform their communities in a significant way, reflect their unique characteristics, and demonstrate sustainable economic development. Burnsville, in western N.C. is a hidden gem off Highway 19E. 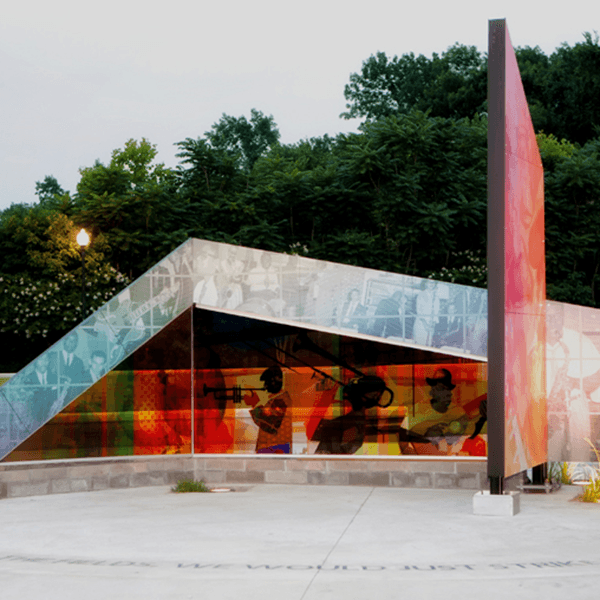 As the N.C. Department of Transportation started to widen the road, the N.C. Arts Council and local partners engaged public artist Jack Mackie of Seattle to create a new entranceway plan, a stunning glass gateway designed to be a beacon to drivers, heralding the arrival at a unique destination. Renowned local glass artists have helped develop the prototypes and have created over a thousand glass globes that will fill the towering 30-foot sculptures. The first glass telescope will be installed in spring 2019. The Durham SmART team selected Mikyoung Kim Design to re-imagine the rapidly transforming north-south corridor as a vibrant arts and economic district that reflects the city’s unique character. 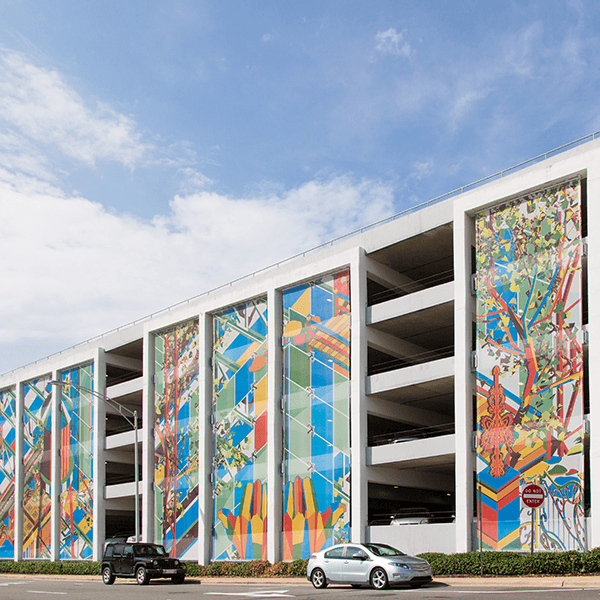 The first project developed based on the vision plan was LEk Jeyifous’s Durham in Continuum, a stunning set of 12 banners covering a parking garage, that encourages pedestrians to cross railroad tracks located near the American Tobacco Campus and walk into downtown. The Kinston Music Park, dedicated in 2014, celebrates the important contributions of eastern North Carolina musicians. The park is filled with vibrant art work, listening stations, and has a stage area for performances. 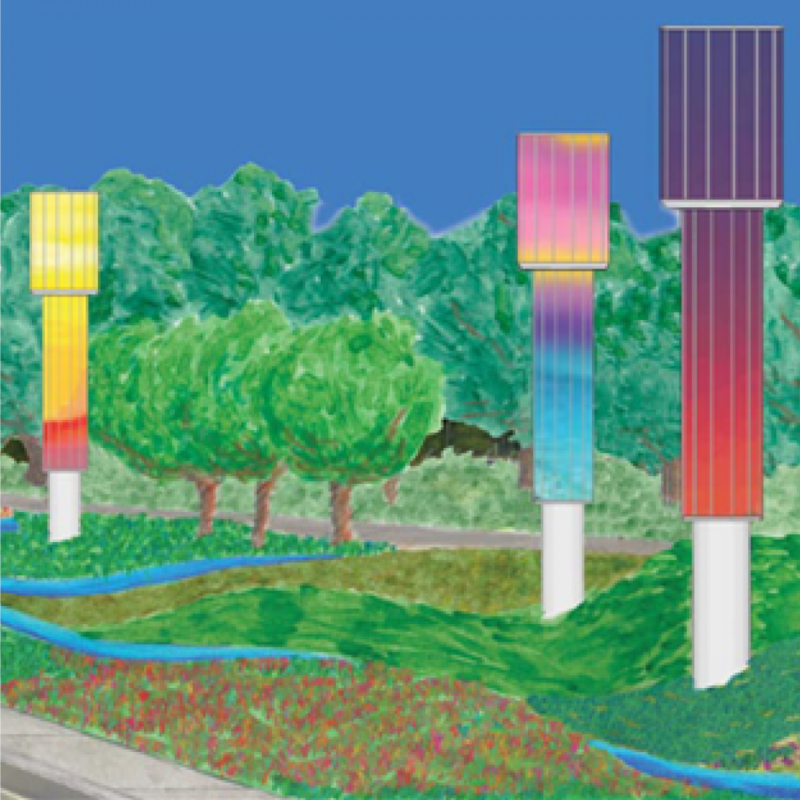 The Kinston SmART team selected public artist Vicki Scuri to create a vision plan to enhance Queen Street, the major thoroughfare, and connect the music park to the Kinston Arts Council, the River Arts Walk and Arts and Cultural District. 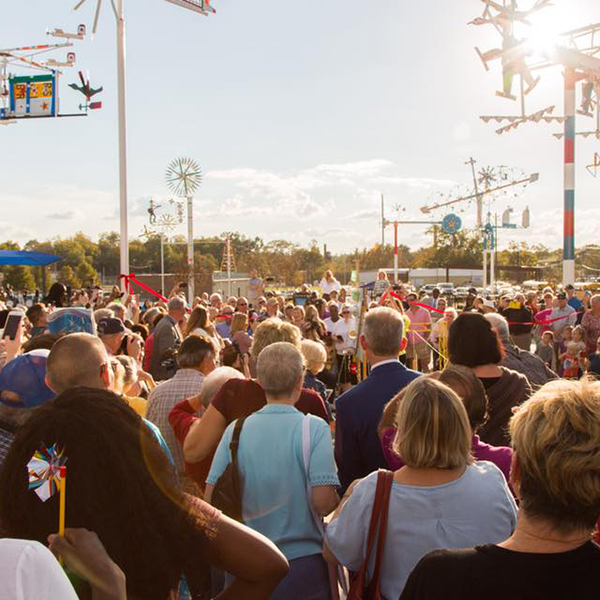 Once the world’s largest tobacco market, Wilson is now the home of Vollis Simpson Whirligig Park. 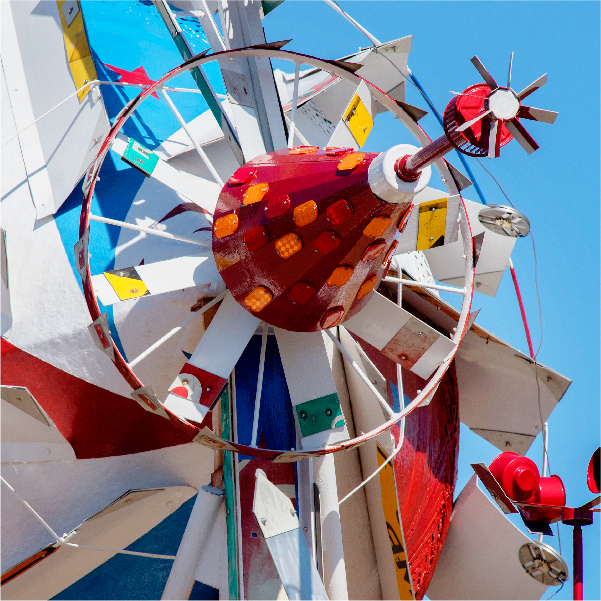 With the N.C. Arts Council's support, the City of WIlson and local partners relocated thirty of acclaimed visionary artist’s monumental “whirligigs” from his rural farm home in Lucama, restored them to their original condition and built a park to display them in downtown Wilson. More than $50 million in private development has occurred in downtown WIlson since the project began. The park opened in November 2017 and is a national model for creative placemaking. More information is being added to our web site about each SmART community. In the meantime, you can view the SmART Communities slide show. The 25-page report features case studies of notable projects and recommendations for arts-driven economic development practices and policies. Case studies of more than 70 National Endowment for the Arts Our Town creative placemaking grants. Written by Ann Markusen and Anne Gadwa Nicodemus, this 2010 white paper, commissioned by the National Endowment for the Arts, has had a tremendous influence on the work of the N.C. Arts Council.